Flavours are excited to introduce Villa Padova to our list of Villa options in 2015. • The Pisani family built their fortunes through banking and becoming mercenary leaders. They become one of Veneto’s richest families. 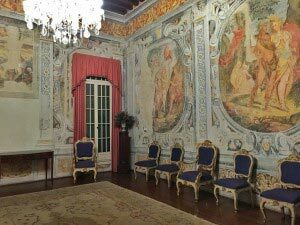 • Rooms are decorated with Frescos by artists including Zelotti, Varotari and Palo Veronese. Zelotti and Veronese’s works can both be viewed today in Venice’s Doges Palace. Notably, Veronese’s The Wedding at Cana is the largest painting in The Lourves collection and hangs in the Mona Lisa Room. Milligens influence on the gardens is strong, taking from both Italian and English trends. 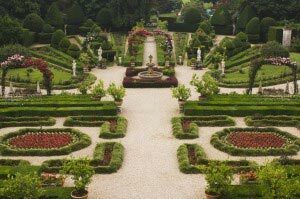 It would be uncommon for an Italian garden to feature trimmed hedgerows and geometric design plans. The presence of statues, vases and fountains are elements of Italian style. The Queen of Sweden, The Empress of Gemany, Queen Victoria’s daughter, Poet Robert Browning and Lord Byron are notable visitors to the Villa. 1860 – Sculptor Antonia Gradenigo designs the small family chapel in the gardens in neogothic Elizabethan style. 1880 The last remaining member of the Pisani family, Evelinas husband, Almoro III dies. • 1960 – The property is sold to the Bolognesi Scalabrin Family, who still own it today, having lovingly restored it in recent years. 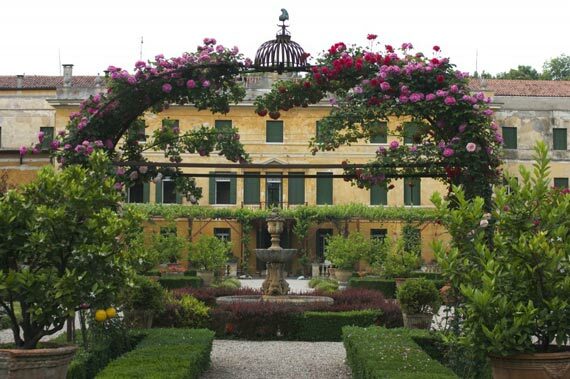 Guests on our painting holidays to Venice have the opportunity to stay in Villa Padova with us. The Frescos are great inspiration and the gardens provide a serene setting to practice your painting outdoors!